A roof is one of the most important parts of a building. It protects the interior from the elements; wind, rain and, most importantly in Australia, sun. Your roof needs to be a solid barrier between your building and nature, and a roofing failure can lead to thousands of dollars of damage and repair or replacement work. The quality of your roofing system impacts your investment and assets. One way to protect it is with professional roof coatings. Roof paint does not only waterproof, protect from the sun, and prevent deterioration, it also improves the cost and energy efficiency of your building. It is also the least expensive way to improve the looks of the building and increase its value. 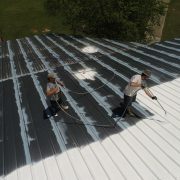 The roof painting cost is also small compared to the costs of replacing a roof. When the job is done well, with the right product, roof painting is beneficial. However, a poor quality roof paint and sloppy application may turn out to be very costly. In this article we will outline the different types of roof paint, which is best for your needs, and where to buy roof paint products or find roof painting specialists in Australia. Flat roofs: These are more common for commercial and industrial buildings. They are the most cost efficient roof shape because they have a smaller surface area and so need less material. The danger with flat roofs is leaking and water pooling, so the main goal in coating them is to create a waterproof barrier. A roof coating on a flat roof is applied over the pre-existing membrane, usually asphalt or rubber. 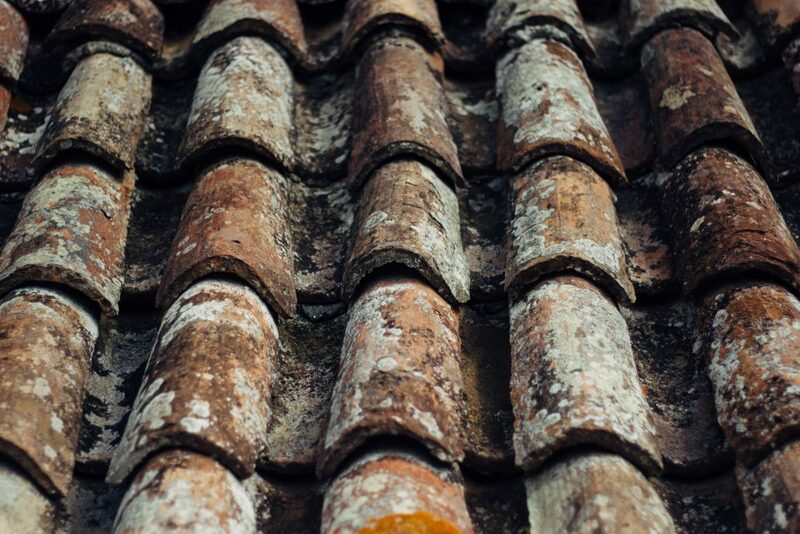 Roof paint on tiles can be decorative as well as protective. These coatings (also known as “cold liquid applied” roof coatings) are applied to a roof as a cold liquid, forming an elastomeric waterproof membrane. They are capable of stretching with the substrate without being damaged. Cold applied liquid coatings are rapid curing even in winter, have excellent adhesion to a variety of substrates, and are cost-effective. Polyurea especially has excellent physical properties and can resist permanent standing water conditions. 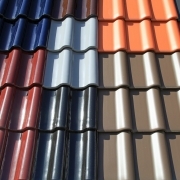 An excellent option as roof tile paint. Advantages: Excellent tensile strength, high resistance to temperatures from -40°C to 80°C (Especially high temperature resistance is required from roof tops in Australia), stretch with the substrate, chemical resistant, UV resistant, more traffic and impact resistant than other coatings. Good for ponding water conditions. Can be applied as roof tile coating. Disadvantages: More expensive than acrylics, pricey compared to roof tile paint cost, wear at the same rate as acrylics. Advantages: Versatile, can be applied to asphalt. concrete, asbestos (for encapsulation), cement or metal sheeting, and built-up felt. With aluminium can deflect UV and heat from the roof. When modified can last 10 to 20 years. Mostly used as industrial roof paint. Disadvantages: Not as flexible as other coatings (unless modified), requires heat to cure. This is the most cost effective of the liquid waterproof roof painting systems. A single component system, water-based acrylics are applied 5-10 times thicker than a house paint. Titanium dioxide (TiO2) is added to make the coating more durable and heat reflective. The white colour reduces the temperature of the roof, reflects sunlight, and so reduces the temperature of the interior and air conditioning costs. By reducing temperature and UV radiation TiO2 also protects the roof from deterioration, increasing its life. A zinc oxide additive (ZnO) can also improve reflectivity, as well as resisting mildew and algae growth. Advantages: They are highly reflective, UV resistant, cost effective, and easy to work with. Disadvantages Acrylics will lose thickness due to weathering, require temperatures above 10°C for application, and typically do not perform well in water-ponding situations. Inorganic, moisture-cured coatings made of liquid silicone. Silicone coatings can expand and contract with a substrate, providing thermal shock protection through temperature changes. Suitable as a metal roof paint. Advantages: Highly UV resistant, elastomeric, impermeable, environmentally friendly, withstands ponding water, good weathering capabilities. Disadvantages The most expensive coating option, and they lose their reflectivity over time. If the roof needs recoating it must be done with silicone or the previous silicone coating must be removed completely before roof painting. Not resistant to tearing. If your project includes asbestos encapsulation, the best roof paint is in a liquid form. The liquid paint can provide you with the least difficult method of dealing with it. Attempted removal of asbestos can release the asbestosis-causing material, but with a liquid coating you can seal in the asbestos without having to disturb it, and protecting it from further interference. The basic roof coatings can also be give extra properties to increase their functionality. For example, even though acrylic roof coatings are heat reflective, other systems can be modified into heat reflective roof paint. Roof paints also have a rubber-like film which is generally easy to clean. However, to ease the cleaning even more the most innovative manufacturers have brought self cleaning roof coating onto the market. These coatings make use of nanotechnology and its dirt repelling properties. Roof paint being applied by roof painting specialists. A roof painting service is a full package – it includes damage inspection, tile replacement, pointing ridge cap tiles, pressure cleaning, as well as several (normally 3) coats of paint. These costs add up, and the cost of labour needs to be tacked onto that too. Taken separately, roof painting costs are made up of three big costs: preparation, paint, and labour. Size and condition of the roof can therefore hugely impact the final price. The hourly rate for roof painters ranges from $35/hr in Queensland to $45/hr in New South Wales. The paint itself, providing you choose to use a high quality option, will cost a couple of hundred dollars per drum. For example, 10L drum of Dulux Roof & Trim is $232 and covers 16m2 per litre. Factor in the need for extra coats and primers and you quickly realise that paint alone can cost upwards of $1000 for a just simple single storey roof job. Add on labour costs and it is easy to see why anyone charging less than $2000 for a roof painting job may be cause for suspicion. All in all, the cost of roof painting will set you back between $2000-6000, depending on all the various factors. Given that a roof replacement will cost you up to $20,000 and a roof paint application comes with a 10 year warranty, it seems a small price to pay. If you are planning to buy roof paint or hire a roof painting specialist, it is a smart move to request several quotes from different contractors to form an idea of the total roof painting cost and the options you have. Though it may be tempting, just choosing the cheapest option is not always the best option, and you will come to regret it when poor quality paints fail or shoddy preparation leaves damage unchecked. Given the importance of roofing to the stability of a building, it is unsurprising that roof coating services are available from many providers across Australia. There are also plenty of roof tile paint products available for those looking to protect their shingles from the elements. Flat roof coating, however, is a specialist application job, requiring the expertise and training of professionals. If you would like more information, or want to be connected with one of our coating partners, contact us! Our experts are here to help. Get in touch by clicking the “Request a quote” button at the bottom of this article. 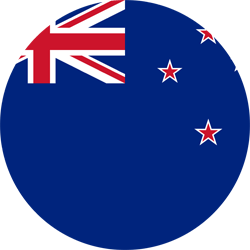 We in Australia are always looking for local suppliers or specialists when it comes to paints and coatings. Just check out our city related information and contact your local roof painting specialist. Roof painting has a somewhat negative reputation in some parts of Australia, due to many ‘self-educated’ roof painters without proven track record or certification. One way to make sure you have found a reliable party to apply roof coating is to check for their certification. Such certificates include for example CPC30611 Certificate III in Painting and Decoration – RPL. In Australia there are plenty of waterproof roof coating, sealant, and tile roof paint suppliers. Whether you are looking to protect, decorate or repair your roof; there is a product to suit your needs. In the table below you can find a small selection of the best roof paint products in the Australian market accompanied by the indication of roof paint cost. Keep in mind that a large roof coating job can be difficult without proper equipment, knowledge and preparation. If you’re not sure, we’ll recommend one of our partner-approved applicators to come and do it for you! Take advantage of our 100% free quote service by clicking the “Request a quote” button at the bottom of this article and let us connect you with the coating solution for your project. Any one who can do it in Adelaide, South Australia? Luckily for the ‘City of Churches’, there are many companies in Adelaide that provide roof painting services. These include Star Painters Adelaide, Roof Doctors, Adelaide Premier Painters, Horizonline Roofing, and Roof Revival, just to name a few. Whatever your roof needs, there is a company that provides it.